The Italian automaker Fiat has been present in the Indian market for quite long time. The Linea sedan is an important product from the company, which comes with a practical design. But compared to its rivals, the Fiat Linea looks bland. 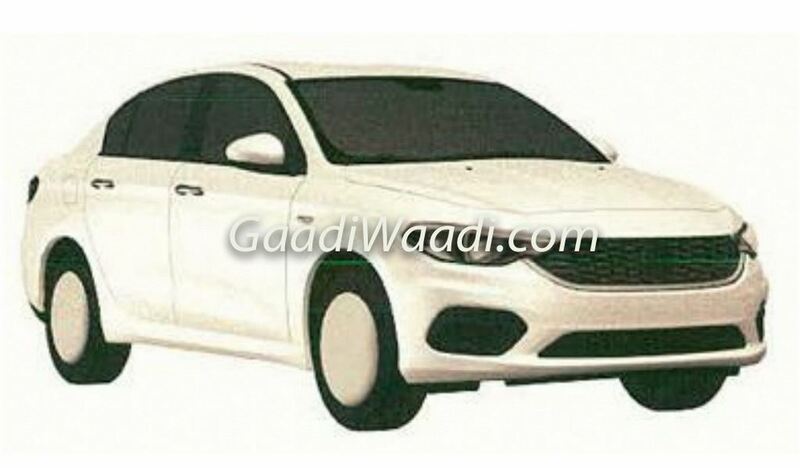 Now, with the Indian customers showing interest toward the cars with more attractive designs, premium features and high performance, the brand is preparing to introduce the Fiat Tipo sedan in the country. Upon its launch, this sedan will replace the outdated Linea. The latest Fiat Tipo was unveiled at the 2015 Istanbul Motor Show and later launched in Italy in November 2015. It is available in Turkey also, but with a different name – the Egea. Now the mid-size sedan is expected to reach the Indian market sometime in late 2018. Upon its launch, the C-segment sedan will lock horns with the tough and established rivals like Honda City, Maruti Suzuki Ciaz and Hyundai Verna. The Fiat Tipo sedan has been patented for the domestic market and is expected to launch sometime during late 2018. We can expect it to be showcased at the 2018 New Delhi Auto Expo, before the commercial launch. The Fiat Tipo sedan is likely to be priced aggressively against its rivals. It could be priced between Rs. 8 lakh and Rs. 13 lakh (ex-showroom, New Delhi). The Fiat Tipo sedan comes available with a range of engine options in global markets. These engine options include both petrol and diesel units. On the petrol front, this car gets a 1.4-litre FIRE engine and a 1.6-litre Etorq unit. Paired with a 6-speed manual transmission, the 1.4-litre engine churns out 95 bhp of peak power and 127 Nm of peak torque. The larger petrol motor is a 1.6-litre Etorq unit, mated to a 6-speed automatic transmission. This engine kicks out 110 bhp of peak power and 152 Nm of peak torque. On the diesel front, the Fiat Tipo sedan is available with two different Multijet engines. The smaller one is a 1.3-litre unit, mated to a 6-speed manual gearbox. This motor pumps out 95 bhp of peak power and 200 Nm of peak torque. On the other hand, the larger 1.6-litre engine is available with both the 6-speed manual and 6-speed automatic transmission options. This engine produces 120 bhp of peak power and 320 Nm of peak torque. The petrol engines are capable to deliver 17.5 kmpl and 15.9 kmpl of fuel efficiency respectively, for the 1.4-litre unit and the 1.6-litre unit. On the diesel front, the 1.3-litre and 1.6-litre Multijet units return fuel efficiency of 24.4 kmpl and 23.8 kmpl respectively. The India-spec Fiat Tipo sedan is likely to come with a 1.4-litre T-Jet petrol and both the Multijet diesel engines. The Fiat Tipo sedan features a stylish and aggressive design. It looks radically different than the current Fiat Linea sedan. It sports a large and bold front grille with chrome trim, sharp headlamps and a muscular front bumper as well. Alongside the large air intake, the fog lamps with chrome trims around them enhance the visual appeal of the sedan. The sharp creases on the hood give it a sculpted appearance. At the side profile, the Fiat Tipo sedan sports sleek and sharp character lines, nicely curved roofline, chrome finished door handles, sleek chrome trim at the glass area and sporty alloy wheels. The rear fascia of the Tipo features C-shaped taillights, a chrome strip running between the taillights and a muscular bumper as well. So far, the entire car arrives as a stylish package, blending the style and sportiness. Dimensionally, the Fiat Tipo sedan measures 4,532 mm in length, 1,792 mm in width, 1,497 mm in height and it has a wheelbase of 2,640 mm. 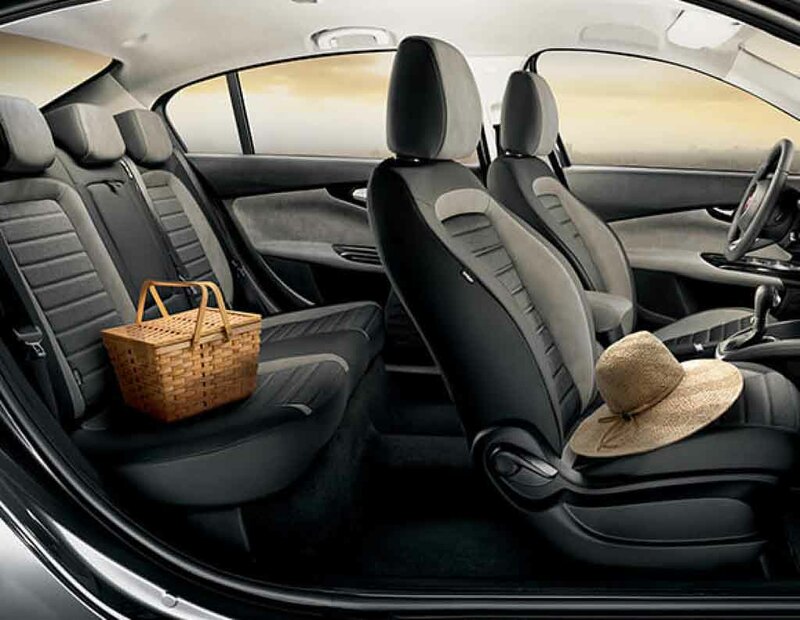 The Fiat Tipo mid-size sedan features an attractive interior. It sports a multi-function steering wheel, analog dials and a digital MID consisting instrument cluster, a 5-inch U-Connect touchscreen infotainment system with voice recognition and Bluetooth connectivity. 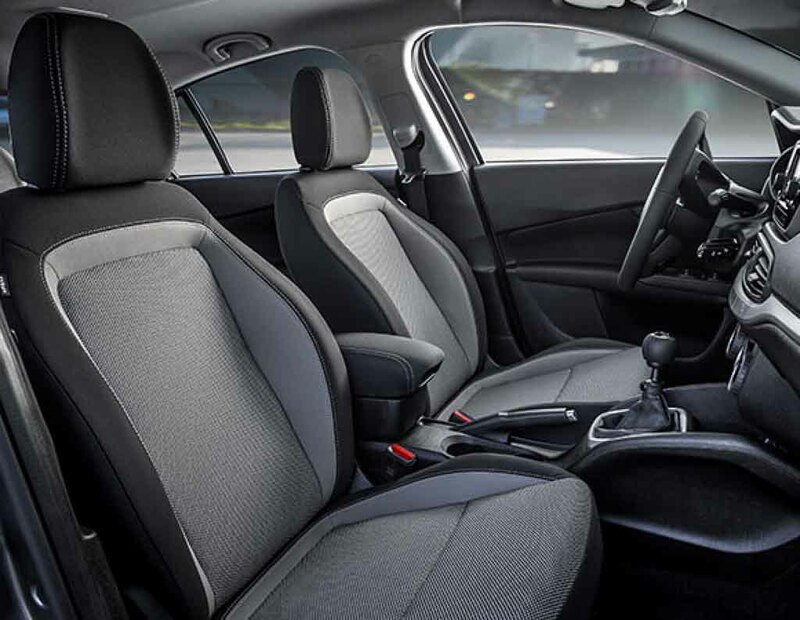 Apart from that, the Tipo also comes with upmarket quality seat and upholstery material, decent leg-space for the rear occupants, automatic climate control etc. 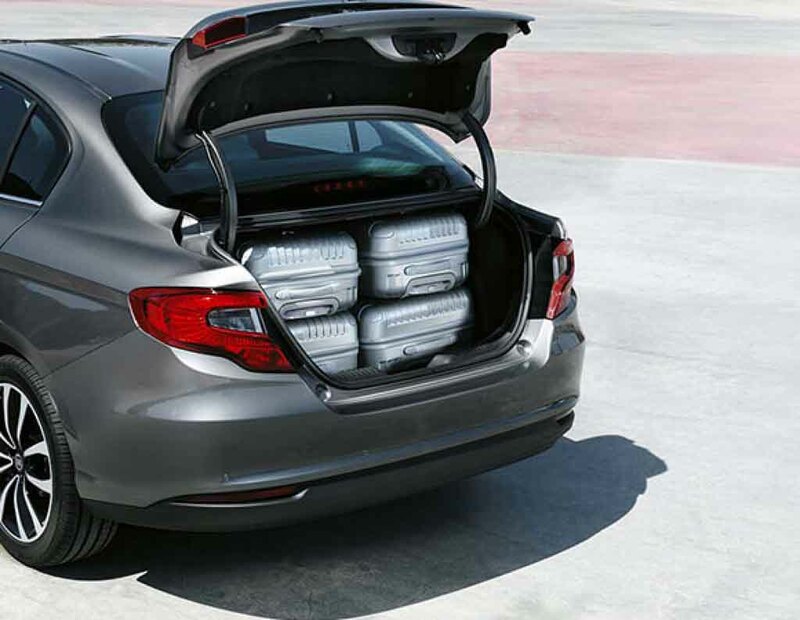 The sedan sports a large 520-litre of boot space. 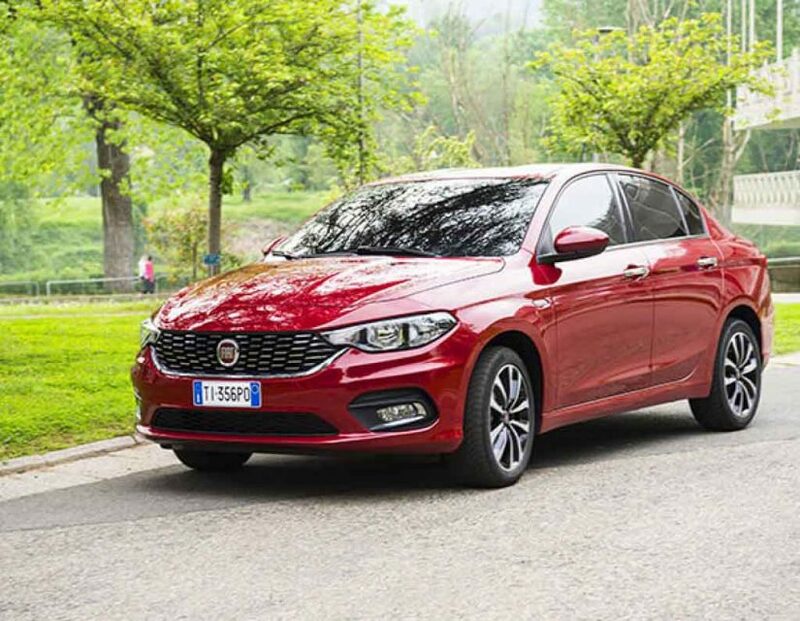 Upcoming Fiat Tipo sedan will come equipped with several safety features like 6 airbag, ABS, EBD, ESC, Predictive Brake Assist, TPMS, Stability Control, HSA, traction control etc. 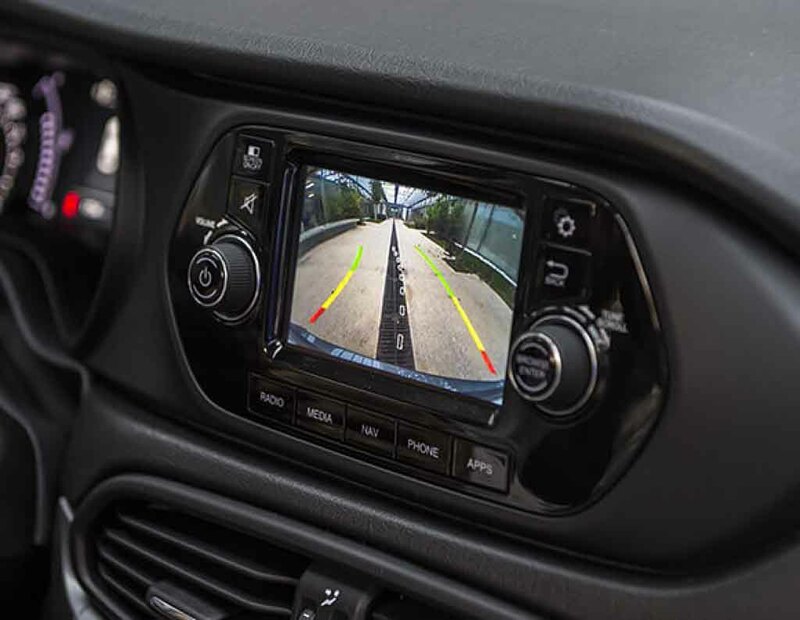 It also gets rear view parking camera. Upon its arrival in Indian market, the Fiat Tipo will lock horns with strong rivals like Maruti Suzuki Ciaz, Honda City, Hyundai Verna, Skoda Rapid and Volkswagen Vento.